After working a 11 hour day, I came home to something else in my mail besides bills & junk. 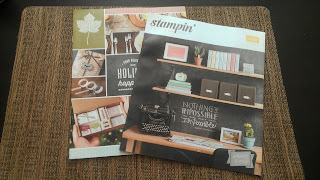 I got my Stampin' Success magazine (great publication for demos) AND the new Holiday Catalog from Stampin' Up! I immediately sat down on the couch and carefully went thru every single page. Holy moly! 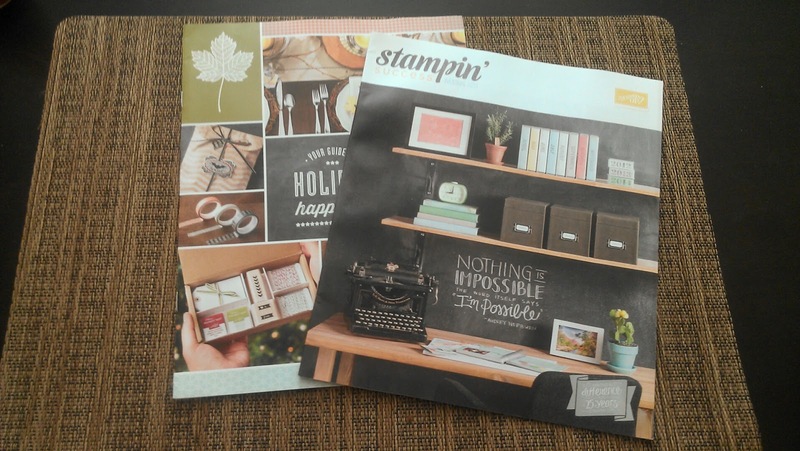 This holiday catalog is different than ones in the past but the items offered are AWESOME! I cannot wait to submit my pre-order in just a few weeks so I can get my hands on all of it and start showing you. Interested in becoming a demo and enjoying all the same perks as I do? Click here to get more info and sign up for your discounted package of goodies! Happy Stamping!